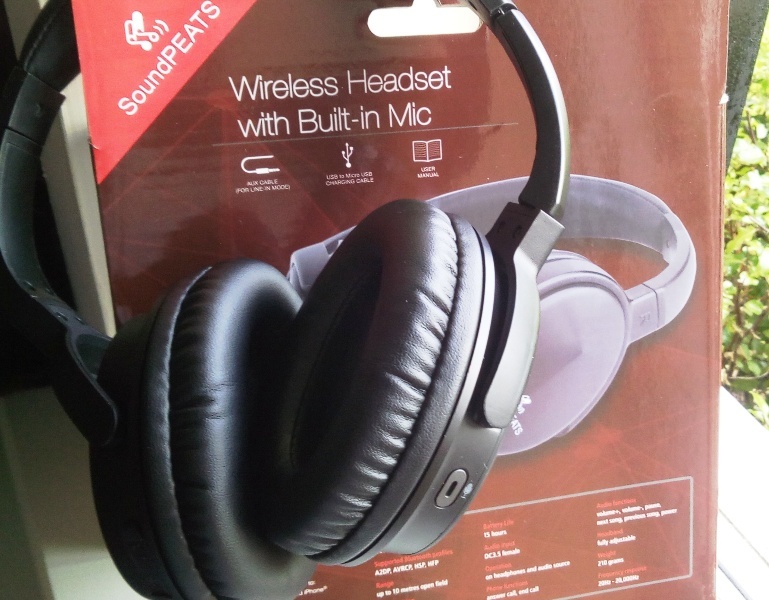 SoundPeats A1 Bluetooth Over Ear Headphones With Mic And Impressive Sound Quality! After hearing good things about the SoundPeats A1 Bluetooth over-ear headphones, I thought to try them on for size! The SoundPeats A1 come with a 90-cm long audio cable, a standard USB to micro-USB charging cable, carry pouch and user manual. 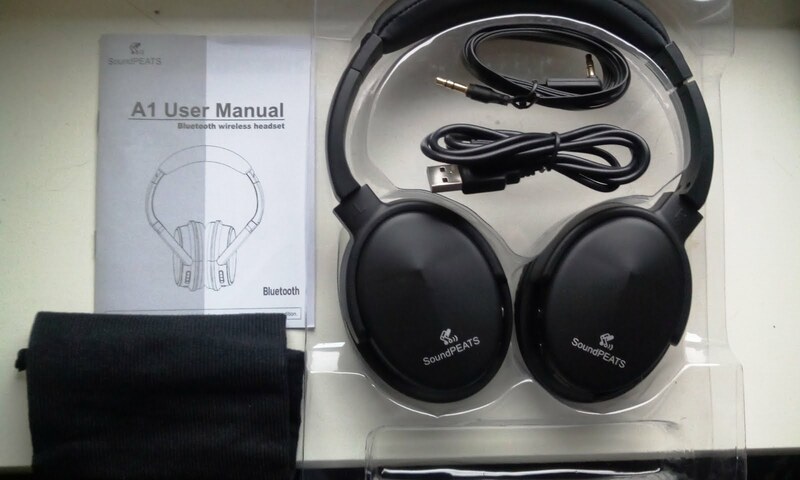 The head padding and headphone cups are soft and cushy with wide cups which cover the ears completely. 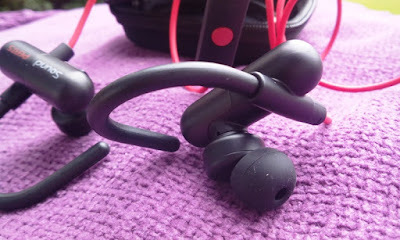 The functions and controls of the SoundPeats A1 are located on both headphone pieces. The built-in microphone, track-forward/track-back buttons and the play/pause button are located on the left headphone piece, while the power button, volume up/down buttons, micro-USB port and audio jack are located on the right headphone piece. 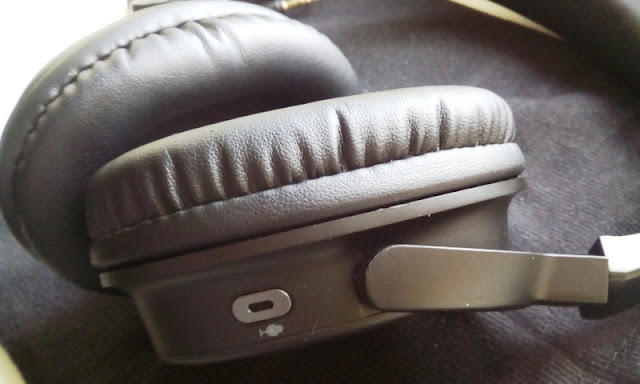 The LED notification is built inside the left headphone piece and can be seen magically appearing when turning on the headphones. To take a call while using the headphones, you press the power button. The headband is also adjustable and you can freely rotate the actual headphone pieces from 45 degrees to 90 degrees for carrying them around. The lithium battery is also detachable and recharging it is easily done via the USB cable. As the battery is charging the LED light shows solid red. Once charge is fully complete the LED light shows solid blue. Paring the SoundPeats A1 headphones with your smartphone is done by pressing and holding the power button for 5-7 seconds until the LED notification starts flashing blue and red. Once connected, the LED flashing light will show solid blue. A couple of other things like about the SoundPeats A1 are the buttons and how the cups fold flat. The A1 has separate buttons for separate functions so it does not combine several functions into multi-functional buttons. If you like headphones with fewer buttons you may want to check out the Q9 earhones. 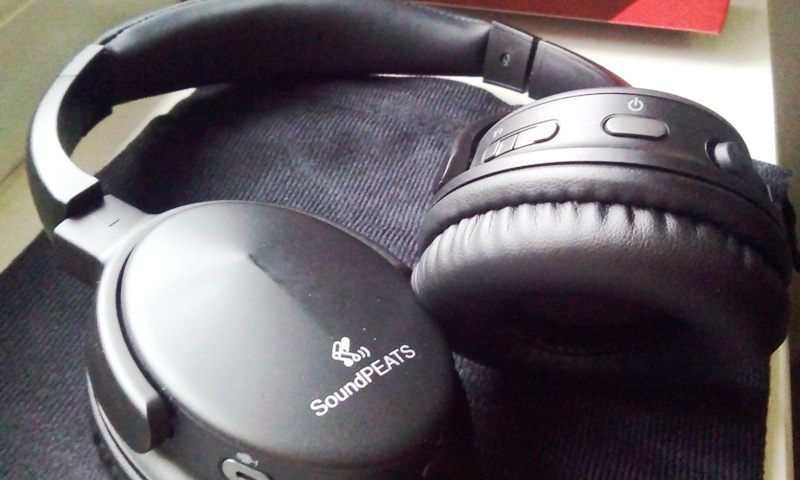 Another practicality that I like about the SoundPeats A1 headphones is that because they fold flat only one way, every time you pick them up you know the correct way to put them on your head.